Summer doesn’t have to be a time of dread when it comes to fashion. The short-shorts, the crop tops, and mini dresses are enough to send some women into cold sweats of anxiety. Fashion doesn’t have to be over the top revealing or cropped and skin-baring just because it is summer. You can choose your summer fashion wisely, look smokin’ hot while staying cool regardless of what size is on your tags. These 12 hot tips will have you stepping out in summer high style! When choosing summer tops, look for flattering V-neck styles. 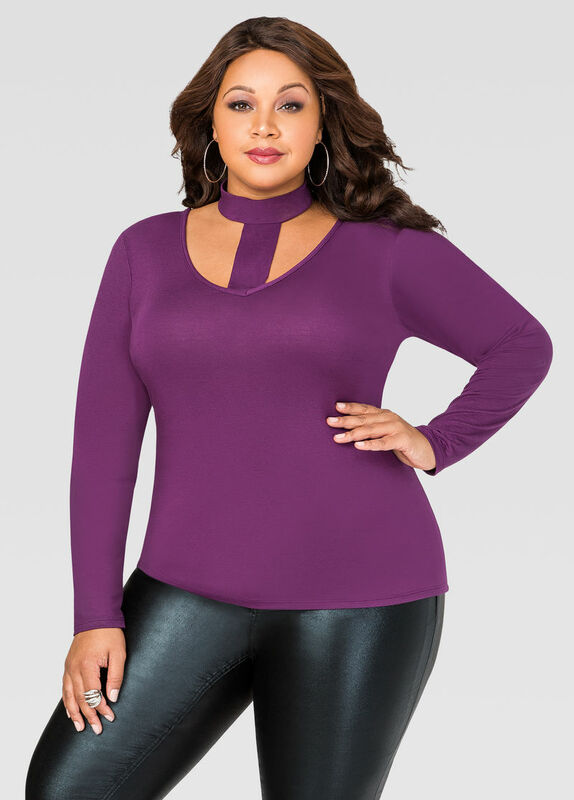 The V doesn’t have to be too revealing or plunging too far, just enough to expose a hint of collarbone and give a lengthening look to your neck. This sets up a nice frame for your face and accents the bust without being too obvious. V-necks are appropriate for both work and play, depending upon the overall style of the top. They are great for summer since they don’t gather at the neckline and make you feel even warmer than the hot summer sun. It doesn’t matter if you are size 2 or size 22 (or more), bearing your legs to their bare state is perfectly acceptable summer fashion. This means you can choose lengths in shorts or skirts that are at the knee or slightly above to create the most flattering silhouette. If you are petite (5’2” and under) it is better to go with a cut just above the knee to create length. It is summer time! Bare those legs! If you have always been drawn to prints, you don’t have to shy away just because you were told plus size ladies shouldn’t wear prints. What do they know?! Prints can look FABULOUS if chosen wisely and done in the right combination with other pieces. When choosing a print, look for bulkier patterns that are less busy. Chunky flower designs, color blocks, chevron stripes or even simpler Bo-Ho style prints could work. It is best to avoid perfectly horizontal stripes, tiny polka dots, or small pattern pictures. When you are choosing a printed top, pair it with a solid, basic colored bottom. Full-figured women are often all too leery about exposing areas of their bodies which aren’t typically exposed in everyday clothing. However, in the summer, when it’s scorching hot outside, staying cool and comfortable can become a challenge if you don’t want to wear a little less and show a little more. As of late, open back tops seem to have made their way back into fashion trends and they can look great in any size! It is just enough to add a little jazz to your outfit and at the same time keep you cool in the summer months. Summer footwear can be a fun, fashionable way to keep your look updated and fresh. With the right footwear, you can also lengthen your silhouette, heighten your stature and add a little formality if needed. While flats might be your go-to shoe in the summer months for both comfort and convenience, don’t be afraid to add a little heel or even a wedge! This is especially true if you are like me, vertically challenged, since the height you get from the shoe will add to your overall height. If you put on a heel, you get to showcase those amazing calves too! Strappy sandals that climb your calf will add drama, fashion and highlight your legs. The dreaded “B” word. Bathing suits. Nobody likes shopping for them; everyone feels insecure—let’s remember that as we embark on finding the perfect suit. High-waisted briefs, reminiscent of the 1950’s swimsuit models, have made their way back into popular fashion. These are very flattering and very comfortable for full figure shapes and give the coverage many women seek in a swimsuit. What is great about the high-waisted brief is that it holds you tight, and gives your torso a more toned, longer look. Pair those high-waisted swim briefs with a fun, chunky polka dot halter top or even a colorful bikini top and you will be hitting the beach in style. So short shorts might be on trend but let’s face it, as plus size gals, we don’t want the discomfort of those itty-bitty shorts riding up on our gorgeous curves. At the same time, you want to stay on point with trends. Enter in the Boyfriend short. These comfortable shorts land about mid-thigh and often have a cuffed hem. Their wide leg style and relaxed seat make them a roomy, comfy choice that keeps you current in fashion. Maxi dresses are wonderful in the summer. Not only do they flatter most figures and offer a comfort like no other article of clothing, but they also come in all colors and prints imaginable. However, you should be careful about what type of fabric the ones you purchase are made from. Look for cotton instead of polyester since cotton is breathable and less clingy in the hot, humid weather. The softer feel of cotton will be lovely against your skin and won’t add to any chafing. Soft, flowing sheer fabric is the way to go when you want to keep cool and still look cool. Choosing a flowy, sheer tank is one way to update your look and have a flirty appeal while being practical about the climbing temperatures. You could be daring and choose a top that has is super sheer and wear a colorful bandeau underneath. If you are into dresses for typical summer fashion, then you should consider a high-low hemline for your next summertime staple. A high-low hemline is usually higher in the front and longer in the back. 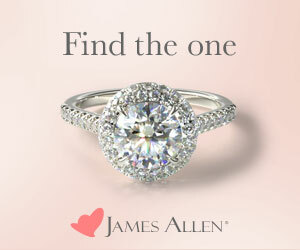 There are two great reasons to choose this style. First, the high cut front shows off a little leg, gives you some ventilation for hot summer days and is fashionable. Second, the longer back offers you some security that when a summer breeze blows through that you won’t be scrambling to hold that dress down, as not to expose your behind. Not only are hats practical in keeping your face shielded from harmful UV rays, but they are a fashionable way to make a statement. Latest trends include big brimmed sun hats with colorful sashes and even traditional fedoras with a little bling. Hats come in so many shapes and sizes and accent just about any outfit nicely. If you are feeling casual, try a plain colored ball cap. There are no limits when it comes to hats. So, on those days when you are feeling uninspired by your clothing options, jazz up your look with a hat and feel better about yourself. If you cannot live without a layered look and feel more comfortable that way, you don’t have to change that just for the summer months. 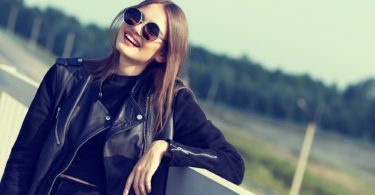 Yes, it is true that layers do add bulk and incidentally, heat in the summer, but there is a way you can layer without sweating it out. Simply choose cotton spaghetti strap tanks beneath a sheer, flowy button up or cotton cap sleeve t-shirt layered with a short sleeve plaid shirt. For bottoms, you can opt to layer some short, spandex shorts beneath a cute, flowing skirt. The key to layering in the summer is thin, breathable fabric and ensuring the clothes are properly sized, not oversized. Summertime doesn’t have to be the season of dread just because you are a gorgeous, curvy woman. 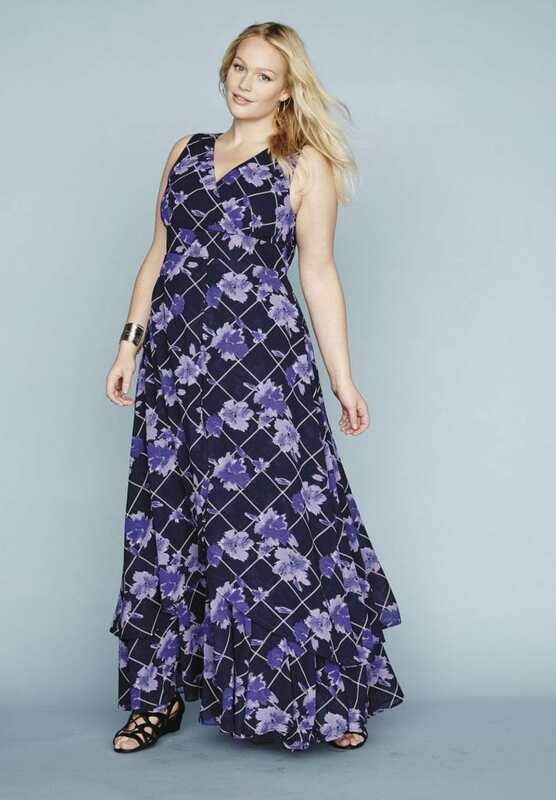 Fashion has turned a corner in the past decade and the options are abundant for us plus size gals to beat the heat and still look amazing as we step out the door. Give these tips a try and see how your summer fashion blossoms! Jamie is a mother to 8 children and an avid cook. She enjoys theatre from both the audience as well as being on stage. She has been writing stories ever since she could put pen to paper and still enjoys doing so today. Her passion for food has her often creating new recipes to try on her family, who are always happy to sample. Jamie graduated with a diploma in Social Services and has worked with children for most of her life. She now writes for Dealwiki and helps them in their content promotions. What Fashion Colours are Trend in 2019? I missed this Summer but I will keep this for next year.